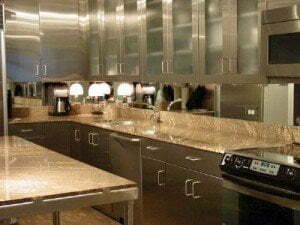 GlassWorks is notable for supplying fashionable glass backsplashes and painted glass backsplashes for the Greater Chicago Metropolitan Area clients since 1977. We are celebrated not just for being a primary expert in glass products, but additionally we are called the speediest rising glass company within the area! 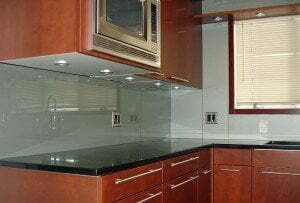 GlassWorks’ kitchen glass backsplashes give a sleek, lustrous appearance that is fantastic for your exclusive kitchen! As well as being simple to take care of and keep thoroughly clean, a glass backsplash is a non-permeable exterior, and it’ll keep on being absolutely free of harmful bacteria and mold. Unlike the common backsplashes that have grout outlines that will become stained through many years, our glass back splash will continue to last a long time and will look just as great as it did when it was initially installed. Just lately, a great deal of clients residing in Evanston has been starting to make the changeover from their out of date backsplashes to GlassWorks’ state-of-the-art kitchen glass backsplash. Evanston, Illinois has more than 74,500 citizens and is located in Cook County. Home of GlassWorks is discovered within Glenview and is conveniently located an approximately 6.5 miles northwest of Evanston. Our clients in Evanston consider GlassWorks as a name they can have confidence in. Together with our devoted Evanston clients, we are best known for having in excess of 4,000 happy customers each and every year! For roughly four decades, we have been the one-stop shop for Evanston citizens when they are hunting around for painted glass backsplashes and even glass backsplashes. Evanston’s household members desire GlassWorks over its area competition. We have a fully devoted team of specialists from sales persons to project management, fabricators and installers who are competent of delivering clients in Evanston the glass backsplashes they really desire to have at a price they can manage to pay for. Not only do we endeavor to fulfill our Evanston customers’ substantial anticipations, but we make the effort to do everything we can to go over them. It is no surprise that numerous suggestions of our exceptional kitchen backsplash work can be found in several of Evanston’s most attractive homes. GlassWorks is viewed as an award winner in the customer total satisfaction category. We are also recognized as a leader in innovative, beautiful, top-quality residential glass products. Furthermore, GlassWorks will supply a one-year warranty on each of its glass products and installations, combined with any independent manufacturers’ warranties. Because of this, every one of these extraordinary awards, why would you really ever contemplate going any where else for your painted glass backsplashes or glass backsplashes? Regardless of your options, the add-on of a painted glass backsplash or glass backsplash, it can be very likely to present you with a great number of years of total satisfaction. Essentially, GlassWorks can handle all of your glass back splash initiatives both expeditiously and cheaply! To get more information about glass backsplashes, just call GlassWorks, as soon as possible, at (847) 729-5580 (North), (312) 337-2300 (Chicago), (630) 355-6363 (West/South) or (866) 452-7925 (Nationwide). We are looking forward to serving you.